How would you feel if the movie theater where you had your first date was going out of business? What would you do if the cinema where you saw the movie that inspired your career path was closing its doors forever? Well that happened to Keith Walker and Matt Sconce. But they put their best caped-crusader effort into saving their local movie house… and subsequently Movie Heroes was born. Keith and Matt learned in November of 2012 that their local movie theater, The Met Cinema in Oakhurst, California, could no longer afford to operate. So rather than let their childhood memories fade into oblivion, the independent filmmaker and aerospace engineer sprung into action. In a recent one-on-one interview Keith stated, "That's the place where we saw every single major movie growing up. I remember seeing October Sky there which really inspired me. It's about building rockets, and that's what I ended up doing with my life… So there's a heart for that place and it closed, and it's like, 'Oh, no, we have to save this.'" Matt added, "For me that was the theater that I went to my first date on, Oliver and Company. So I remember growing up it was always the place to go. For me, being a filmmaker, it was one of the biggest things that inspired me. Because I love to be able to see the stories that other people like, to be able to look into different realities and different places and be able to travel the world." So how do a filmmaker and an engineer who know nothing about running a theater go about such a daunting task? It was perhaps their naiveté that made the venture successful. Instead of thinking about all the stumbling blocks in front of most theater owners, they took a different approach. Keith said, "We attribute our success to the fact that we didn't know much about it. Now that we know what we know, we realize that what we were doing was more significant and more risky than we know at the time." They went into the business thinking it was all about the consumer and creating a value added proposition for them. However they did not realize how much control the movie studios have over the theater owners. They thought they could turn the business around by selling subscriptions a la Netflix. For $19.95 a month a consumer got unlimited access to see any film showing at the theater at any time. They set a goal to sell 3,000 monthly subscriptions and assumed the studios wouldn't care how they got their money as long as they got it. Keith recounted, "What we found out is, they didn't do it that way. They viewed this as a very different thing. As a result we had to spend a lot of time building trust with the studios and developing audit mechanisms so they would feel comfortable with what we were doing." So while they were building a business — hiring a staff, ordering concessions, updating the projectors — they were also negotiating with major movie studios to get product. Matt admitted, "For a while we had saved the theater but we had no studios giving us movies. So we had this limbo state for about three months where we wondered, 'Did we save the theater just to not save the theater?'" But once they gained the studios' trust, business began to flourish. In fact, the model has been so successful for them that the movie house has had better attendance under this subscription model than at any other time in the theater's history. Keith explained, "People watch way more movies. And by 'way more' we don't mean 10% more. People are watching at a rate between six and 10 times the national average. A 500 to 900% increase." Not only have the Movie Heroes saved The Met Cinema in Oakhurst, they have applied the same model to movie houses on Coalinga, Avenal and Red Bluff. And these theaters have more than doubled their revenue. 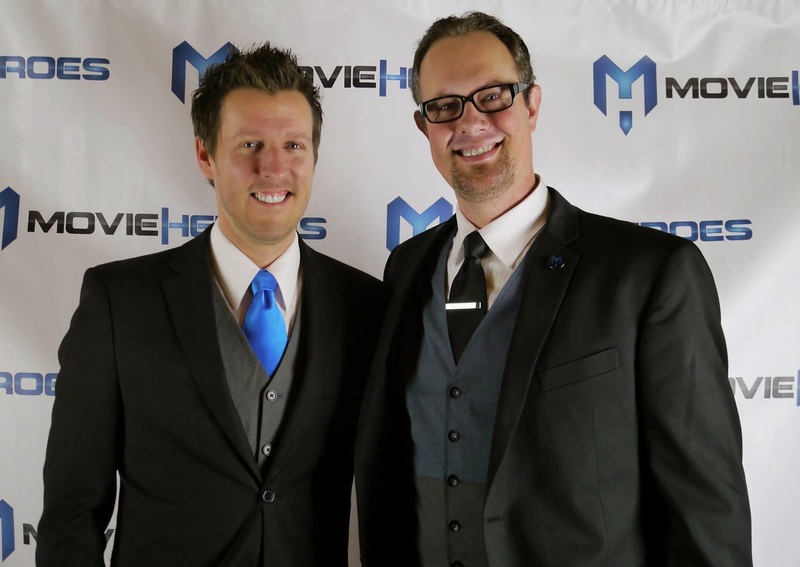 Matt and Keith hope to save many more theaters around the country and are in contact with 60 other cinemas that are interested in the Movie Heroes model. So if the local theater where you shared your first kiss is on the verge of closing its doors forever, the Movie Heroes might be able to help save it… one subscription at a time. For more info visit MovieHeroes.com.